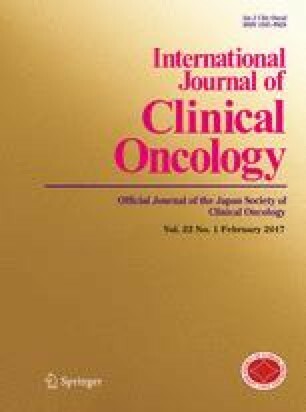 Clinical results of computed tomography (CT) simulations and [18F]-fluoro-2-deoxyglucose (FDG) positron emission tomography (PET)/CT simulations were compared retrospectively. Between 2006 and 2011, [18F]-FDG PET/CT simulation was performed on 68 consecutive patients with pharyngeal cancers (PET/CT group). As an historical control, conventional CT simulation was performed on 56 consecutive patients with pharyngeal cancer between 2000 and 2006 (CT group). In the PET/CT group, the primary sites were nasopharynx (NPC), oropharynx (OPC), and hypopharynx (HPC) in 35, 20, and 13 patients, respectively; in the CT group, the primary sites were NPC, OPC, and HPC in 21, 17, and 18 patients, respectively. All but five patients in the PET/CT group were treated with intensity modulated radiation therapy (IMRT). In the PET/CT group, TNM and clinical stages changed in 11 (16 %) and eight (12 %) patients, respectively. Although the 5-year overall survival (OS) rates for the PET/CT and the CT groups were 80 and 64 %, respectively (p = 0.0420), this result may be attributable to the background difference between the two groups. Similarly, the 5-year locoregional control rates of the two groups were 82 and 70 %, respectively (p = 0.0501). Notably, marginal recurrences around the planning target volume (PTV) were only noted in four CT group patients. PET/CT simulation was useful for delineating an accurate clinical target volume (CTV) of pharyngeal cancer, and its clinical results were satisfactory. This study was partially supported by a Grant-in-Aid for Scientific Research (25461932, 16K10406) from Japan Society for the Promotion of Science, and by the Practical Research for Innovative Cancer Control from Japan Agency for Medical Research and Development, AMED (15ck0106093h0002).